A student seeking permission to take courses at a law school outside Chicago should submit an Application to Visit at Another Law School to the Assistant Dean for Academic Administration and Student Affairs. Credit will be awarded only if the school is ABA-accredited and permission was granted prior to the start of the coursework. The student must arrange to have an official transcript showing the grades earned sent directly by the other law school to the Chicago-Kent Registrar. If the grade earned in a course is C or higher, the credit hours will be counted toward graduation. The grade will not appear on the student's transcript and will not be computed in the student's GPA. If the grade earned is below C, no credit will be granted for the course and any Federal Stafford Loan money received during this period must be returned to the lender. This will automatically cancel the entire loan. However, a student may reapply for the entire loan for any subsequent semester(s) for which eligibility can be determined. If a student fails to return federal loan money received during this period, all future federal loan eligibility will be immediately revoked. A student may not take a course at another law school on a pass/fail basis. If the course is only graded on a pass/fail basis, a separate Petition must be submitted to the Assistant Dean for Academic Administration and Student Affairs with the Application form requesting to take a pass/fail course at the other school. 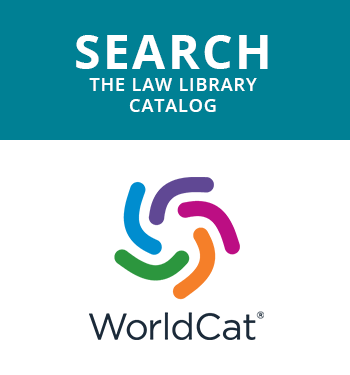 Separate rules apply with respect to grades earned in courses taken at Chicago-area law schools through our consortium arrangement; see §5.2 below. Chicago-Kent has a consortium arrangement with Loyola (Chicago) School of Law, DePaul University College of Law, and John Marshall Law School that permits students from each school to register for selected courses at the other schools. Students pay tuition to their home school, and grades transfer (not just the credits) and are counted in your GPA. 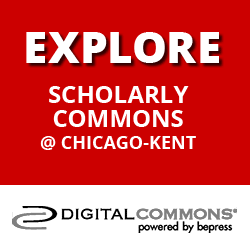 Courses taken through the consortium arrangement may count toward a Chicago-Kent certificate program only with permission of Dean Sowle and the director of the relevant certificate program. When a student takes courses at another law school, the maximum number of credit hours permitted for the semester or Summer term at Chicago-Kent (not the school being visited) must be observed. 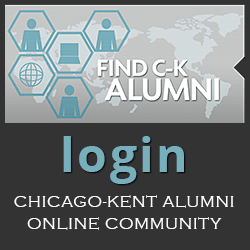 A student must earn at least 54 credit hours of Chicago-Kent courses in order to receive a Chicago-Kent College of Law degree. These hours do not include courses taken in other academic units within IIT, e.g., M.B.A. courses. Exceptions may be made in appropriate circumstances by the Assistant Dean for Academic Administration and Student Affairs. A student in good standing may receive credit toward the J.D. degree for two non-law graduate-level courses taken after the student has begun law studies. To be eligible for credit, the course must be relevant to or enhance the student's law studies and be approved by the Assistant Dean for Academic Administration and Student Affairs. A student who seeks permission to take a graduate-level course for J.D. credit must submit a Petition to Take Non-Law Graduate Courses to the Assistant Dean and the petition must be approved before the graduate course begins. A student who receives permission to take a graduate-level course in another academic unit within IIT, or at another university, pursuant to this section must arrange to have an official transcript showing the grades earned sent to the Chicago-Kent Registrar. If the grade earned in the course is B- or higher, the credit hours will be counted toward graduation. The grade will not appear on the student's transcript and will not be computed in the student's GPA. If the grade earned is below B-, no credit will be granted for the course. This section does not apply to students enrolled in the joint J.D./M.B.A. program or other joint programs described in §§ 1.23 to 1.26.